Kim Kardashian has had to deny that her eldest daughter North West has a BOYFRIEND. We put that in capital letters, because the child is just five-years-old. Rapper Consequence's son Caiden Mills referred to North as his "boo", and many people jumped to the conclusion that they were dating. Kim has now made it totally clear that her five-year-old daughter does NOT have a boyfriend, according to The Daily Mail. 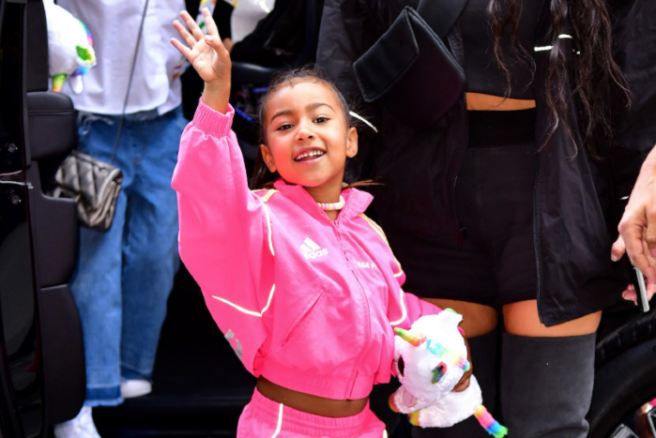 The reality TV star was leaving the Hollywood Beauty Awards with Chris Appleton last night, and the 38-year-old was asked whether or not it was "too soon for North West to have a boyfriend" by a paparazzi. The query was referring to seven-year-old Caiden Mills, son of Consequence. Kardashian replied, "She doesn't have a boyfriend. Like, is that for real? She's five." Consequence was part of Good Music, the music label created by North's famous dad, Kanye West. Mills himself has over 52,000 Instagram followers, and has been pictured with both Kanye and Kim. Mills posted an Instagram caption relating to North on February 6, saying,"Shout out to Northie, babygirl I’ll see you soon." The same day, the youngster posted a photo of himself holding a gold pendant necklace, saying, "She’s gonna love it. Wrap that up sir, I’ll take it." Caiden celebrated Kanye West's album College Dropout achieving its 15th anniversary, describing it as the "First album that North’s dad and my dad worked on together." "North, Saint and I had the BEST time on our play date at @exploratorium. It was so much FUN," he captioned yet another image of himself and North, with her brother Saint. On Valentine's Day, he posted a snap of himself brandishing a heart-shaped box of sweets captioned, "Love is in the air." Realistically, he probably isn't writing the captions himself, but still. We're fairly sure the Instagram account isn't run by the seven-year-old, but who knows? Neither Consequence or Kanye have commented on the matter, but we're fairly relieved that Kim has calmed everyone down with her comments. North West sings at Kim Kardashian and Kanye church services, so she'll probably have an album out by age 10. Iconic singer Kylie Minogue has been left 'very shaken' after a man refused to leave her London home, and launched 'sustained campaign' of harassment, The Sun reported. Following a complaint by the singer, the man has been issued with a harassment warning. Police were called to a house in Chelsea and Kensington on January 23, according to the Metropolitan Police. The mystery man reportedly asked her neighbours where the 50-year-old singer lived, and then pressed the intercom, refusing to leave. Security has since been increased at her West London house as a result. The man, who is in his 40s, was lurking around her home for days, and her neighbours spotted him a number of times requesting to know where Kylie lives. A nearby resident in West London said: "It came to a head when the man repeatedly pressed the intercom button to her home for hours on end last week and refused to leave." The resident continued; "Kylie was quite upset and called in police. They spoke to Kylie, and also the suspect in the street for quite a while." She has taken 'sensible steps' to stop this from happening again. Another neighbour said: "A weirdo guy was lurking around. He went door to door asking people where Kylie lived." The man repeated the singer's name again and again, in a disturbing manner. The apparent stalker was described as wearing a raincoat and possessing a European accent. The star suffered another security issue a few months ago when a man made threats against her before her German performance in November. She was then guarded by 20 police officers who were armed at her next concert in Belgium. Images of the suspect were plastered around the venue and all male concert-goers were frisked heavily. Kylie as been seen enjoying her West London neighbourhood with her boyfriend, Paul Solomons. The 43-year-old is the creative director at British GQ and GQ Style magazine, and the pair went public last summer. 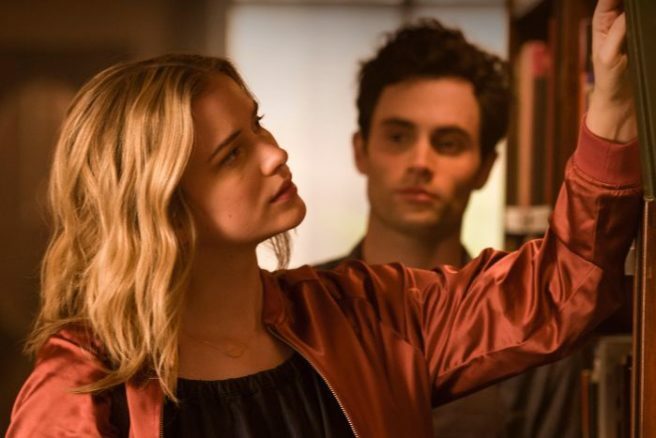 The singer was previously engaged to British actor Joshua Sasse, but they parted ways in February 2017. Kylie achieved her sixth UK number one last year when Golden reached the number one spot. A number of celebrities have been plagued by stalkers and have been forced to hire extra protection or relocate, such as Tom Hardy and his wife Charlotte Riley, Noel Edmonds and Christine Lampard. Malin Andersson has announced the devastating news that her beautiful baby girl Consy has tragically passed away. The 25-year-old Love Island star shared the heartbreaking news to her Instagram followers, uploading a picture of her newborn baby in a hospital bed with tubes and a pink blanket surrounding her. Little Consy was born seven weeks premature on December 23, and was having complications ever since. "Completely in love with you.. and my Mum just wanted you to be with her," she wrote..
"Your time wasn’t ready yet. Mummy loves you. I stayed with you each day.. you opened your eyes one last time for me and I saw those beautiful big brown eyes." "I’m so sorry I couldn’t do anymore. Go be with grandma Consy." Malin said in her statement. "My angel. Rest in peace CONSY GLORIA EMMA ANDERSSON-KEMP" she concluded. "Happy New Year..Tom and I are so happy to let you all know that our baby girl CONSY arrived in this world 23rd December 2018, seven weeks early. "She is so beautiful, we are totally in love with her and feel so blessed that she is here but unfortunately due to complications, she is currently being cared for at Great Ormond Street." "We have received a number of messages over the past week and there has been a lot of speculation and so we wanted to share our news with you so you could hear from us first hand" the heartbroken couple stated. Consy had been in hospital with her TV star mum since the birth. Malin kept a bedside vigil with her boyfriend Tom Kemp the entire time. She was named after Malin's mother Consy, who passed away in 2017. We offer our deepest condolences to Malin and Tom for their tragic loss. Rita Ora has skilfully laughed off questions about her potential romance with Spiderman star Andrew Garfield, and we tip our hats to her wily ability to dodge 'em. A source claimed late last year that the pair are "the real deal", but we hadn't heard much else. Ora appeared on SiriusXM Hits 1 this morning, with a brave reporter 'innocently' asking; “Did you prefer Tobey Maguire or Andrew Garfield as Spider Man?” Nice one. The 28-year old singer and Garfield have reportedly been dating since October 2018, with a source telling The Sun: “Rita let slip to pals about her brewing romance about a month ago." “But in recent days things have started to heat up and she says what they have is the real deal," the insider added. “It is still very early days but they like each other and are seeing what happens. Their schedules make things difficult but they have a real connection," the source alleges. Ora split from boyfriend Andrew Watt last year, and recently opened up about her boyfriend history, saying she “doesn’t have a type”. Ora was also rumoured to have been connected to 2018 Love Island contestant Eyal Booker, but those rumours were dispelled by Eyal himself, despite saying he'd beg to date her. When asked whether he'd ask her on a date, Booker joked: “Obviously I would, it’s not a thing. I mean, she's one gorgeous lady. Kim Kardashian isn't one to hold back her opinion, not even to her sister Khloé. 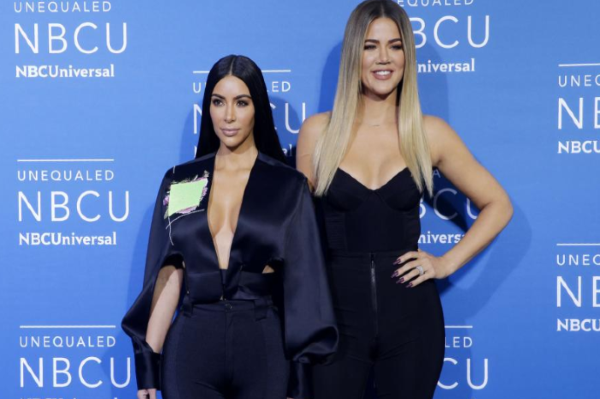 The reality TV star inadvertently branded Khloé an 'idiot' on live television yesterday while discussing her sister's choice to remain in a relationship with Tristan Thompson. Thompson famously was caught cheating on Khloé multiple times during her pregnancy, with video and photographic evidence causing an explosive controversy,​​​​​​. 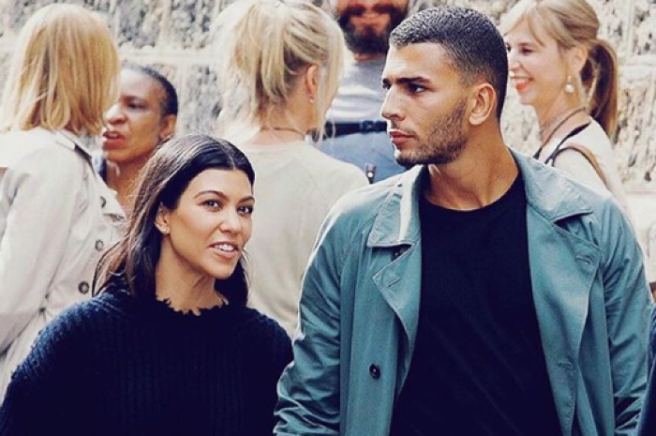 Kourtney answered that she would most likely would have tried to keep her family together, but her reply wasn't the one which caused a stir online. "From seeing everything that happened, it's so easy and quick to be like, 'oh my God, leave him, leave him,'" Kim chimed in. "It's so much harder to stay and have the whole public think you're an idiot for staying," she added, choosing a word which didn't impress Khloé, understandably. Khloé tried to laugh the comment off, sarcastically replying "thanks!" which caused Kim to backpedal, saying she "didn't mean it like that". 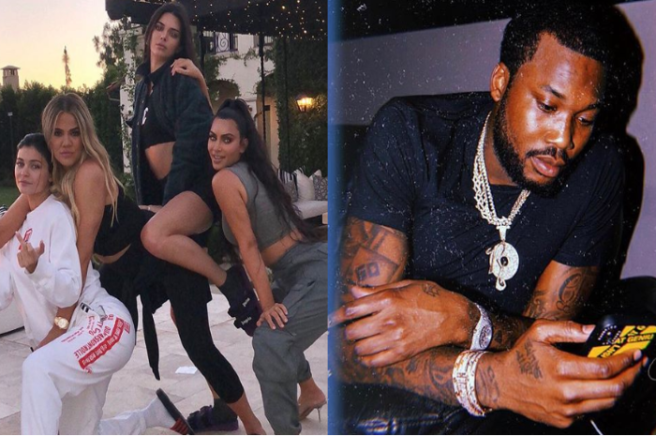 Tristan's cheating scandal made headlines worldwide when videos of him kissing multiple women surfaced just before Khloé was due to give birth to the their first child, True Thompson.